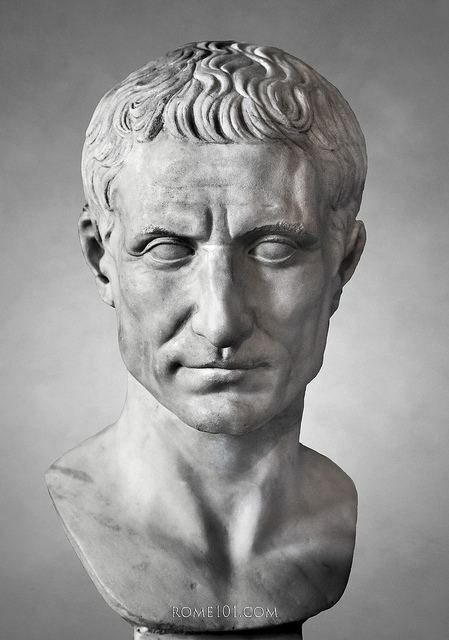 Gaius Julius Caesar (Latin: CAIVS IVLIVS CAESAR, [ˈɡaː.i.ʊs ˈjuː.li.ʊs ˈkae̯.sar], born: 13 July 100 BC – 15 March 44 BC), usually called Julius Caesar, was a Roman politician and general who played a critical role in the events that led to the demise of the Roman Republic and the rise of the Roman Empire. He is also known as a notable author of Latin prose. After assuming control of government, Caesar began a programme of social and governmental reforms, including the creation of the Julian calendar. He centralised the bureaucracy of the Republic and was eventually proclaimed "dictator in perpetuity", giving him additional authority. But the underlying political conflicts had not been resolved, and on the Ides of March (15 March) 44 BC, Caesar was assassinated by a group of rebellious senators led by Gaius Cassius Longinus, Marcus Junius Brutus, and Decimus Junius Brutus. A new series of civil wars broke out, and the constitutional government of the Republic was never fully restored. 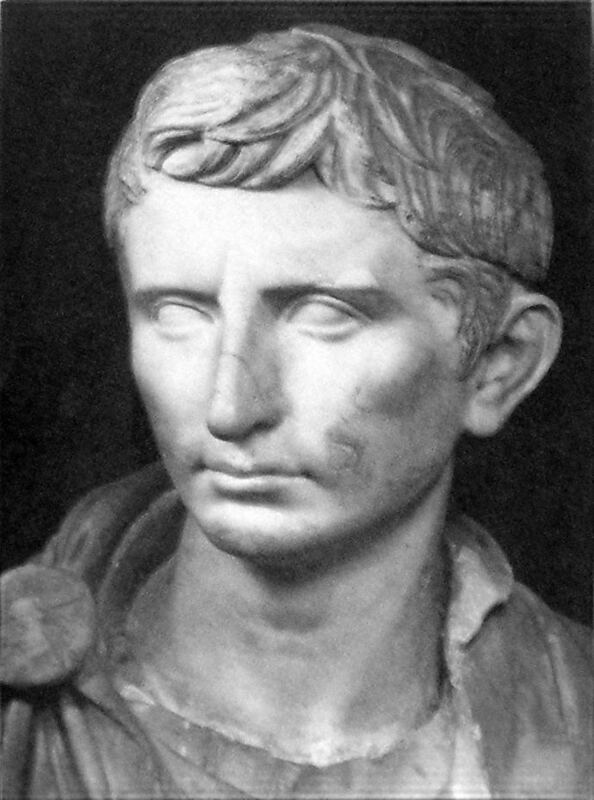 Caesar's adopted heir Octavian, later known as Augustus, rose to sole power after defeating his opponents in the civil war. Octavian set about solidifying his power, and the era of the Roman Empire began. After serving as praetor in 62 BC, Caesar was appointed to govern Hispania Ulterior (modern south-eastern Spain) as propraetor, though some sources suggest that he held proconsular powers. He was still in considerable debt and needed to satisfy his creditors before he could leave. He turned to Marcus Licinius Crassus, one of Rome's richest men. Crassus paid some of Caesar's debts and acted as guarantor for others, in return for political support in his opposition to the interests of Pompey. Even so, to avoid becoming a private citizen and thus be open to prosecution for his debts, Caesar left for his province before his praetorship had ended. In Spain, he conquered two local tribes and was hailed as imperator by his troops; he reformed the law regarding debts, and completed his governorship in high esteem. Caesar proposed a law for redistributing public lands to the poor—by force of arms, if need be—a proposal supported by Pompey and by Crassus, making the triumvirate public. Pompey filled the city with soldiers, a move which intimidated the triumvirate's opponents. Bibulus attempted to declare the omens unfavourable and thus void the new law, but he was driven from the forum by Caesar's armed supporters. His bodyguards had their ceremonial axes broken, two high magistrates accompanying him were wounded, and he had a bucket of excrement thrown over him. In fear of his life, he retired to his house for the rest of the year, issuing occasional proclamations of bad omens. These attempts proved ineffective in obstructing Caesar's legislation. Roman satirists ever after referred to the year as "the consulship of Julius and Caesar." In 50 BC, the Senate (led by Pompey) ordered Caesar to disband his army and return to Rome because his term as governor had finished. Caesar thought he would be prosecuted if he entered Rome without the immunity enjoyed by a magistrate. Pompey accused Caesar of insubordination and treason. On January 10, 49 BC, Caesar crossed the Rubicon river (the frontier boundary of Italy) with only a single legion, the Legio XIII Gemina, and ignited civil war. 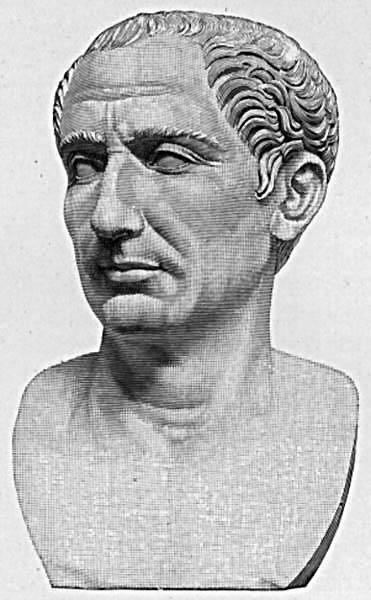 Upon crossing the Rubicon, Caesar, according to Plutarch and Suetonius, is supposed to have quoted the Athenian playwright Menander, in Greek, "the die is cast". Erasmus, however, notes that the more accurate Latin translation of the Greek imperative mood would be "alea iacta esto", let the die be cast. Pompey and many of the Senate fled to the south, having little confidence in Pompey's newly raised troops. Pompey, despite greatly outnumbering Caesar, who only had his Thirteenth Legion with him, did not intend to fight. Caesar pursued Pompey, hoping to capture Pompey before his legions could escape. While he was still campaigning in Spain, the Senate began bestowing honours on Caesar. Caesar had not proscribed his enemies, instead pardoning almost all, and there was no serious public opposition to him. Great games and celebrations were held in April to honour Caesar’s victory at Munda. Plutarch writes that many Romans found the triumph held following Caesar's victory to be in poor taste, as those defeated in the civil war had not been foreigners, but instead fellow Romans. On Caesar's return to Italy in September 45 BC, he filed his will, naming his grandnephew Gaius Octavius (Octavian, later known as Augustus Caesar) as his principal heir, leaving his vast estate and property including his name. Caesar also wrote that if Octavian died before Caesar did, Decimus Junius Brutus Albinus would be the next heir in succession. In his will, he also left a substantial gift to the citizens of Rome. Plutarch also reports that Caesar said nothing, pulling his toga over his head when he saw Brutus among the conspirators. The version best known in the English-speaking world is the Latin phrase "Et tu, Brute?" ("And you, Brutus? ", commonly rendered as "You too, Brutus? "); this derives from Shakespeare's Julius Caesar, where it actually forms the first half of a macaronic line: "Et tu, Brute? Then fall, Caesar." It has no basis in historical fact and Shakespeare's use of Latin here is not from any assertion that Caesar would have been using the language, rather than the Greek reported by Suetonius, but because the phrase was already popular when the play was written, it appears in Richard Edes's Latin play Caesar Interfectus of 1582 and The True Tragedie of Richarde Duke of Yorke & etc. of 1595, Shakespeare's source work for other plays. Because Caesar's clemency had resulted in his murder, the Second Triumvirate reinstated the practice of proscription, abandoned since Sulla. It engaged in the legally sanctioned murder of a large number of its opponents to secure funding for its 45 legions in the second civil war against Brutus and Cassius. Antony and Octavian defeated them at Philippi. 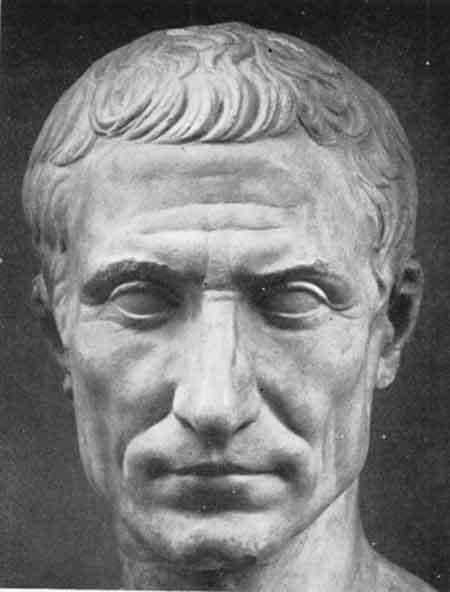 The Roman historian Suetonius describes Caesar as "tall of stature with a fair complexion, shapely limbs, a somewhat full face, and keen black eyes". According to tradition, the saint would be bound to Julius Caesar because he descended from Gens Julia: Caesarius becomes the new "Christian Caesar", opposed to the pagan Caesar. The images of the Byzantine emperors ("Caesars") were preserved in the Imperial palace on the Palatine Hill, in Rome, precisely in the Church of Saint Cesareo in Palatio.